Sherman J. Fort is a northern California native. He was blessed with a father and mother born and raised in the south. He has eight sisters and two brothers. Pastor Sherman Fort has served as pastor of The Word Church since 1990. Over the years God has blessed no less than ten associate ministers from TWC to pastor their own church throughout metropolitan Phoenix and beyond. Some of the most memorable moments of Pastor Fort’s ministry include leading pastors and members on a trip to the holy land (Israel); studying preaching abroad at Oxford University, London England with Rev. Dr. Joel C. Gregory and “Proclaimers Place”; and served as director of The Southwest School of Theology (in association with Golden Gate Baptist Theological Seminary) offering through the CLD program offering Diplomas in Christian Ministry, Theology and Church Planting for five years. 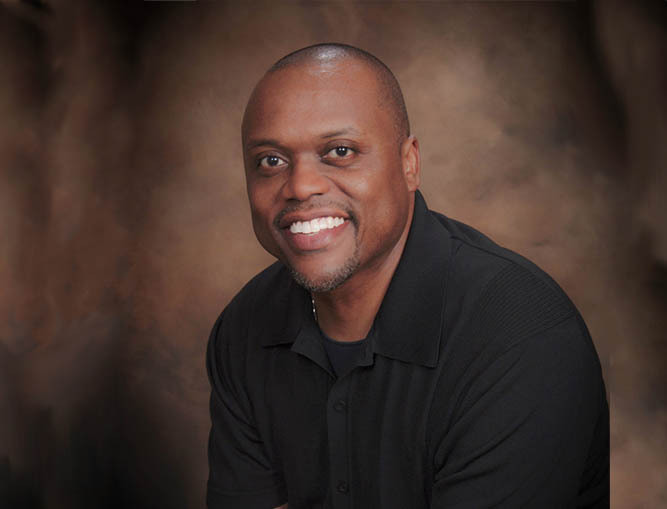 Pastor Fort has studied Christian ministry and theology at San Jose Bible College, Grand Canyon College, Fuller Theological Seminary and Golden Gate Baptist Theological Seminary holds an Associate of Arts Degree in Theology and a Bachelors Degree in Theology from Pacific Coast Bible College. Pastor Fort is currently pursuing his masters degree. Pastor Fort is the founder of SJF Ministries. Through SJF Ministries he hosts: “The REALationship Conference”. A series of one day conferences featuring music and ministry with a focus on relationships and The Pastor’s Summit, a three day get away designed specifically to encourage senior pastors. Sherman J. Fort is the father of two daughters Kiara and Kennedi.